Though it may be a basic, there’s more to the humble belt than mere practicality. With trousers tailored to fit our shape without needing to be cinched these days, we’re using the belt to inspire a little creativity in our outfits instead. To celebrate the arrival of the Mulberry Braided Belt in three colours in store now at Robinsons, we’re sharing three new ways to wear them for an instant new season style update that won’t break the bank. Belts were seen on the streets and runways of every SS18 Fashion Week; here’s all the inspiration you need to add them to your accessories arsenal. Blame the boho revival because belts worn low and loose are back. The casual leather braid of the Mulberry style is ideal for belting floaty summer tunics and shirt dresses at the hips, so take it down a notch or three from the waist and go a little lower for some Seventies chic. We’re all about pieces that make this awkward transitional dressing phase a little more effortless and belts are capable of taking the modest knitted cardigan from frumpy to fashionable. Belt your cardigan open an inch or two to reveal the layers beneath and create a flattering panel that will draw the eye down and make you look long and lean. There’s something about a knotted leather belt that looks incredibly nonchalant in a way you’d think only the cool girls could carry off. It’s actually one of the easiest looks to carry off and whether looped through white jeans with a grey jumper slung on top for weekends or belted over Laura Orchant’s painterly silk scarves, a tied tan belt will quite literally put a new twist on the way your wear other pieces in your wardrobe. Shop the Mulberry Braided Belt in store now at Robinsons. We’re open Good Friday 9:30am – 5:30pm, Saturday 31st March 9:30am – 5.30pm and Easter Monday 11:00am – 4pm, plus we have FREE parking available right outside the store. Here at Robinsons, we’re strong believers in the age-old adage of ‘if it ain’t broke, don’t fix it’. It’s an ethos that more and more designers are getting on board with too, stretching out the trends across three or four seasons, rather than recommending a complete wardrobe overhaul to coincide with each new collection. With the festivities finished and January almost here, we’re shunning the suggestion that a new year has to mean a whole new you, or rather a whole new wardrobe. Instead, we’re concentrating on the outfit elevators that will raise your fashion game and your spirits through the grey days of January. The pleated skirt has stolen the spotlight in recent seasons but we’re sensing a switch in shapes for the new year. More than a secretarial staple, the pencil skirt works with the same trainers and tees we were pairing our pleated skirts with throughout last year, only with a more structured shape we can’t get enough of. After the excitement and sparkle of Christmas, the dark days of January can feel positively endless and painfully dull. A colour injection can go a long way in combating the winter blues, so make the most of our Mulberry sale and swap your classic black handbag for a pop of ocean green or violet. It’s a failsafe way to breathe new life into your favourite looks of last year. There is nothing we love more than a perfectly cut pair of jeans by Jacob Cohen or True Religion. However, if you’re keen to update your look for 2018, switch things up once or twice a week in trousers. This Sarah Pacini style is cut slim through the legs and smartens a coordinating knit. From lending new life to this season’s checked blazer to totally reinventing cable knits, there’s little a primary colour pop can’t do. Chunky knits aren’t going anywhere but the ones we’re coveting now are red, yellow and blue. Worn with grey checks, they’re a seasonal game changer. Think of beige as a palette cleanser after weeks on end of glitz and glamour. While our love of black is eternal, beige is a brighter for January. Nothing is as chic as a beige coat by MaxMara, or a pair of beautifully cut beige trousers worn with a high-neck sweater. Visit us in store today and lift your winter blues with a little retail therapy. 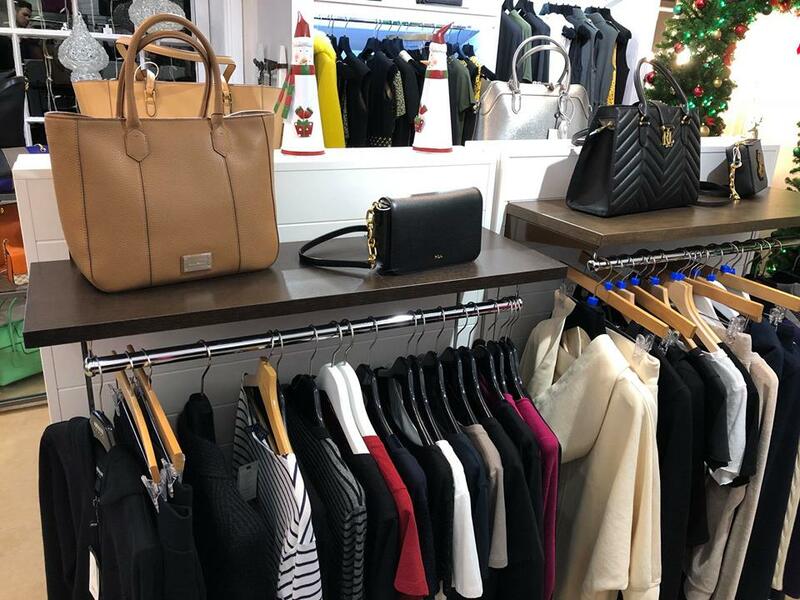 We’re open 7 days a week and we’re the region’s leading stockist of designer brands including Mulberry, Ralph Lauren, Moschino, Jacob Cohen, Armani, Versace and many more. Somewhere amidst the haze of mince pies, turkey and Christmas pudding, our attention turned away from food just long enough for us to realise that New Year’s Eve is but four days away. With our tummies suitably stuffed and our Christmas pyjamas ready for the wash, we’re looking forward to far more glamourous occasions ahead. 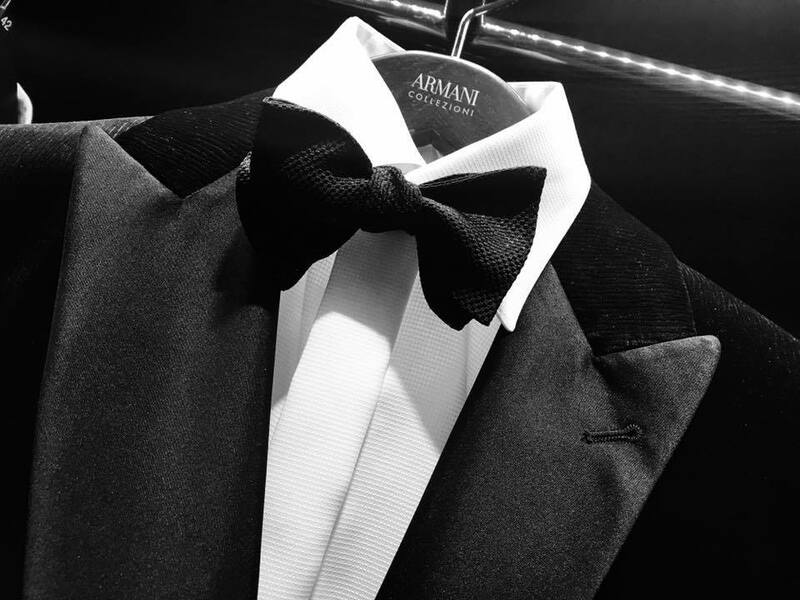 If you’re yet to have planned a New Year’s Eve look to knock em dead, time is running out. Here is a little last minute New Year’s Eve outfit inspiration for the procrastinators, sales shoppers and downright indecisive amongst us. Which will you be rocking when the clock strikes midnight and glasses are raised to 2018? Shop New Year’s Eve outfits and accessories from designers including Michael Kors, Versace, Armani, Escada, Mulberry and more at Robinsons today. Out winter sale is on NOW with huge savings on ladieswear meaning you can say a stylish welcome to 2018 for less. Find us at 2 South Parade, Bawtry, Doncaster, DN10 6JH, with FREE PARKING right outside the store. 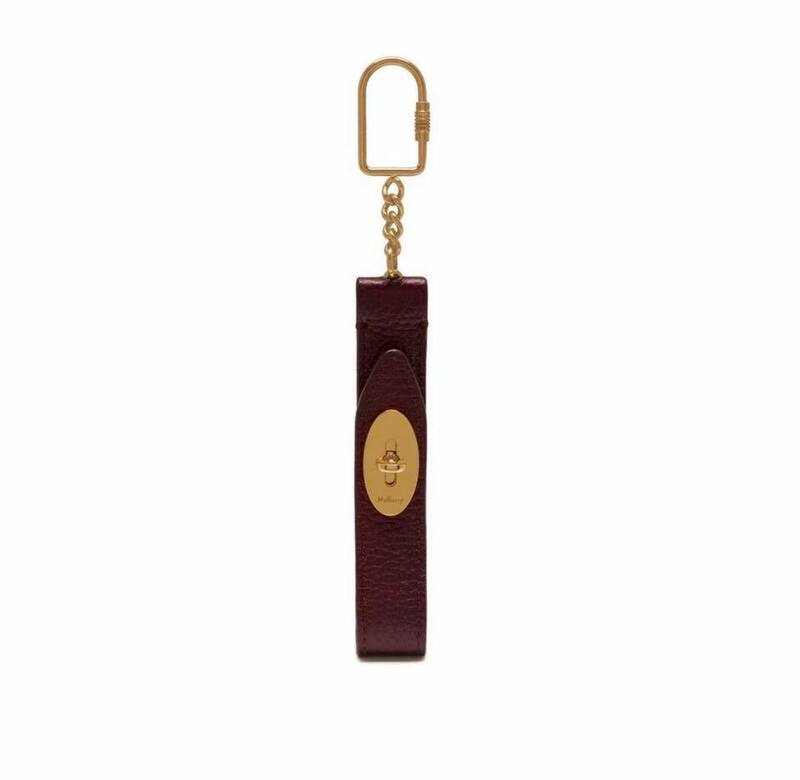 It’s the little things that mean a lot and while it may be small, the power of a Mulberry keyring is mighty when it comes to Christmas stocking fillers that impress. If you are still searching for the perfect gift for someone special, what could be better than something that will put a smile on their face every time they reach for their keys. 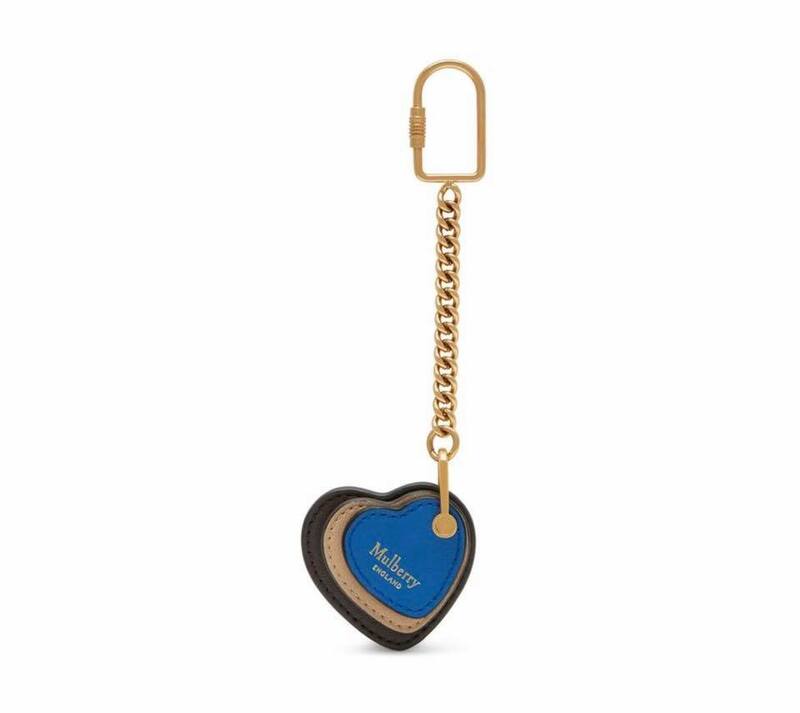 You can shop various Mulberry keyring styles in store now at Robinsons, from the Looped Heart Metal Keyring to the Metal Plaque Keyring and the Nappa Leather Heart Keyring in Chocolate, Dark Frozen and Brass.